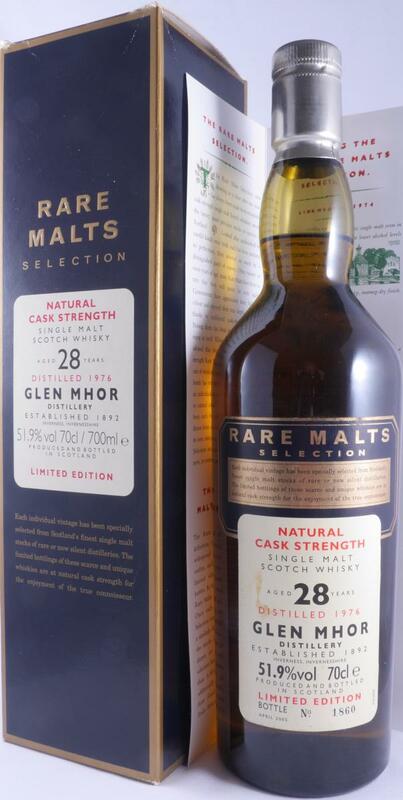 Another great Rare Malt, another great Glen Mhor. Nicely fruity, with a dirty edge. The fruit is tropical (mango, papaya, and some orange). Intertwined is this dirty side of gravel road, tobacco, and sooty oil. This dirty tropical mix is made into a cocktail with a decent portion of mint, later also lemon, and creamy vanilla. 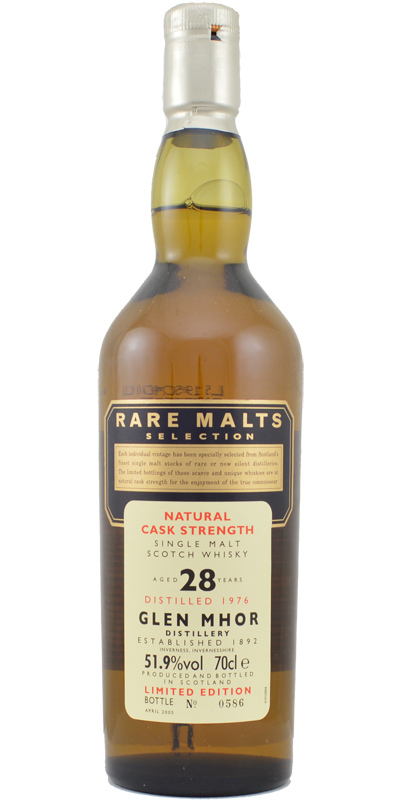 A powerful dram, but within boundaries and still quite complex.The tropical fruit and tobacco remain most prominent. The citric side gains power, which leads to a nice sour twist. At the end, the green side joins, along with a gentle level of pepper. 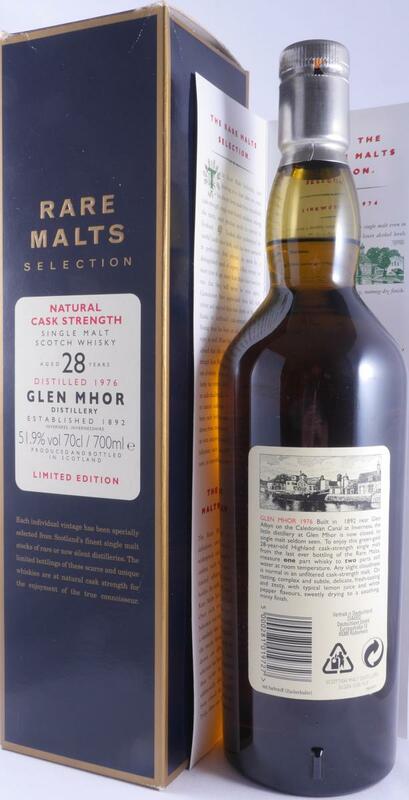 Tropical fruit, apricot, lemon, tobacco, gentle peat smoke, grass and pepper. 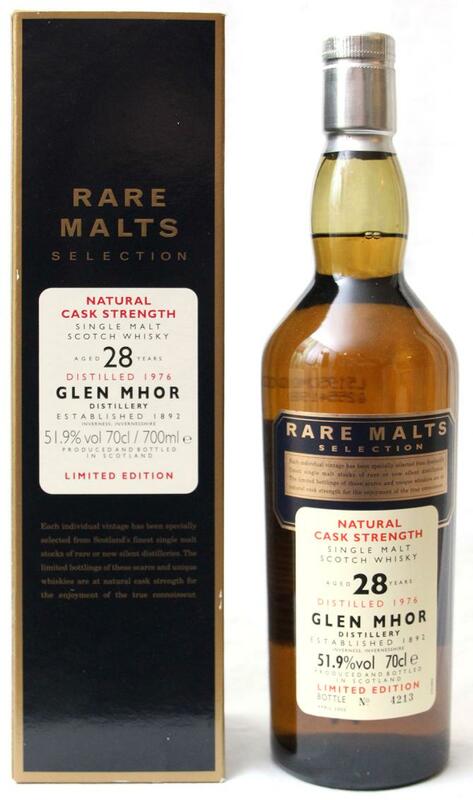 Just perfectly matched, and very well balanced. Quite nice and hard to get these days.